What Types of Fleas Live in Florida? While hair loss in squirrels can look serious, the diseases that cause it aren't infectious to humans or pets. 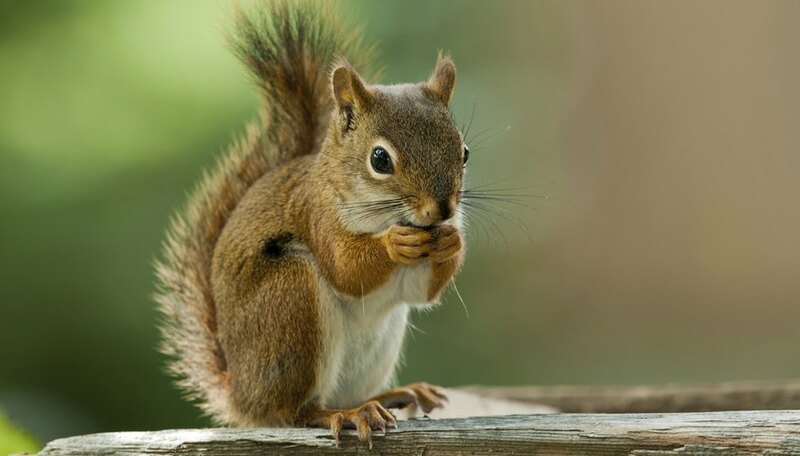 The squirrel family contains about 280 species, including ground squirrels, flying squirrels and tree squirrels, such as eastern and western gray squirrels and fox squirrels. 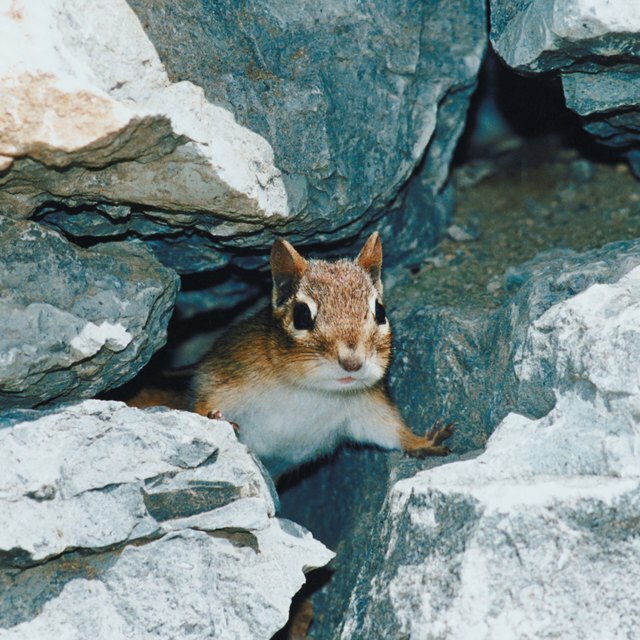 Ground squirrels have short, thick forelimbs for digging; flying squirrels have a furred membrane that extends between their ankles and wrists, and tree squirrels have large ears, sharp claws and long, bushy tails. It's rare to see a completely hairless squirrel, however you may often see a partially bald squirrel missing fur in patches, or a squirrel with no hair on tail. Squirrels infected with mange or fungal diseases, or suffering from inherited conditions, often lose their hair. Mange is a disease caused by burrowing mites which often results in a squirrel missing hair. Mites are tiny, eight-legged creatures, and many live by burrowing under the skin of their hosts, causing redness, irritation and hair loss. Gray and fox squirrels suffer from notoedric mange, which is caused by the squirrel mange mite, Notoedres douglasi. As well as losing their hair, infected animals develop dry, thickened, dark skin. Infections spread through direct contact, but notoedric mange mites only become established on their natural hosts. Squirrels already in poor health are most likely to suffer a serious infection. Squirrels can suffer hair loss when infected with a range of fungal diseases called dermatophytoses. Infected hair breaks off close to the skin resulting in a bald squirrel, though the bald areas are actually covered with fine, short stubble. Damp weather can increase fungal infections. Over time, infected squirrels' immune systems respond and fight off the diseases. The hair grows back, and the squirrels recover without any long-term damage. Most squirrel hair loss is caused by fungal diseases. Some squirrels' hair loss could be due to the genes they inherited from their parents. These animals might not have lost their hair – they might have never grown hair in their bald patches. Fox squirrels and gray squirrels sometimes have bare areas of skin where their hair follicles are absent or don't function. The skin is normal otherwise, and not infected with mites or diseases. It's thought this is a genetic condition, and probably has no ill effects, though the affected animals won't recover their hair. There's little people can do to help squirrels that lose their hair. Mange mites live in squirrel nests, so treating wild squirrels infected with mange is pointless because the animals are reinfected when they return to their nests. Taking down bird feeders where squirrels gather can help stop infections from spreading, providing the feeders are down for at least two weeks. If you see a squirrel missing fur, the best thing to do is leave it alone. In most cases, the squirrel will recover over time. Green, Jenny. "Why Do Squirrels Lose Their Hair?" Sciencing, https://sciencing.com/squirrels-lose-hair-5090876.html. 16 July 2018.